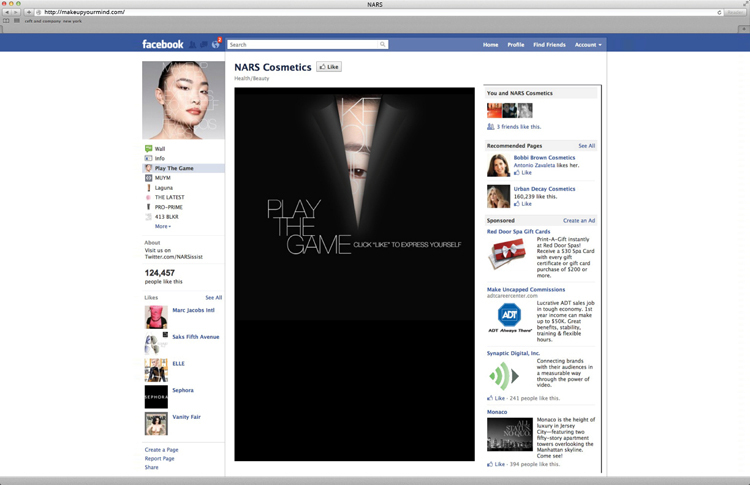 ceft and company’s award winning social media campaign for NARS also included a custom fangate on facebook that encouraged users to “like” the NARS facebook page in order to get inside. 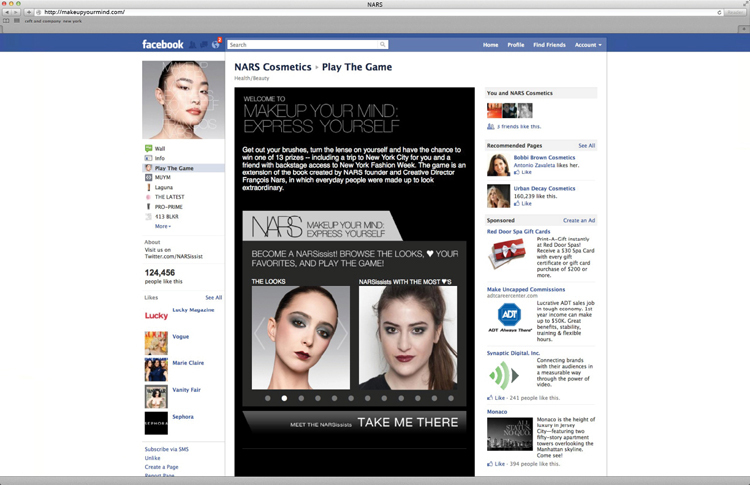 once there, a custom app allowed users to see the “live feed” of top candidates from the NARS “makeup your mind, express yourself” contest. the contestants sat next to each of the competing “looks” and the button below it directed them to the site to add comments, vote, or enter the contest. NARS’s page likes climbed from approximately 110k, to 360k, to the current 1.1 million likes. view all work related to this project.